These are essential teachings for developing compassion and clarity amid the anxieties and hardships of real life. 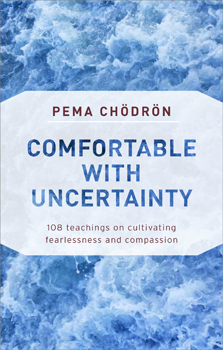 Collecting some of the most powerful passages from Pema Chödrön's many beloved books, this compact handbook for spiritual practice is rich with inspiration and insight. Here she explores life-changing concepts, themes, and practices from the Buddhist tradition, showing how anyone (not just Buddhists) can draw from them to become more courageous, aware, and kindhearted. It includes the benefits of meditation and mindfulness, letting go of the fixations that weigh us down, working directly with fear and other painful emotions, and much more. With these teachings, Pema lays the groundwork for how we can start to overcome the habitual patterns that so often hinder compassion for ourselves and others - and that hold us back from embracing our lives joyfully and fearlessly. To anyone who ever wanted to experience true freedom, these teachings are a shining light on the path.